Dubai: As the tension intensified ahead of Saturday’s Championship finals at the 16th Dubai International Arabian Horse Championship (DIAHC), contenders from the Dubai Arabian Horse Stud continued to dominate the show ring at the Dubai International Convention Centre. D Shakhat, homebred at the iconic stud farm which was set up in 2007, began the proceedings on day two of the event, a horse show for Purebred Arabians, by topping the Yearling Colts class. D Shakhat impressed the seven judges with his type, head & neck and movement to earn a top score of 91.91 points and book his place in Saturday’s gold finals. He was a silver medallist at the Abu Dhabi International Arabian Horse Show. Since its inception in 2007, Dubai Arabian Horse Stud fast became one of the world’s most successful breeders of Straight Egyptian and Pure Bred horses. The Stud has left its mark on several International Arabian horse shows, producing several champions and gaining respect from their peers around the world, as pioneers on the horse show circuit. 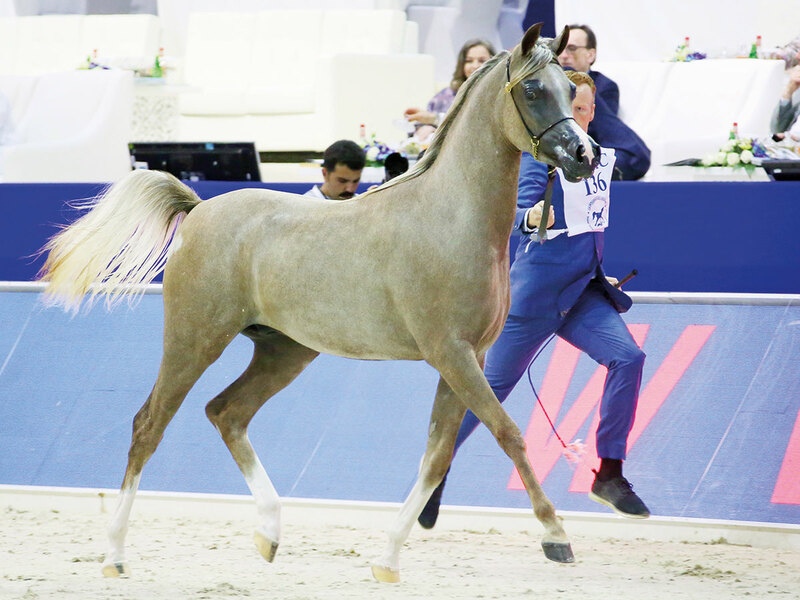 The stud farm also sent out two other winners on a competitive day, including D Mezyan winner at the Abu Dhabi International Arabian Horse Show 2019. D Shallal another exquisite homebred topped the three-year-old Class for colts. Now in its 16th year, the Dubai International Arabian Horse Championships (DIAHC) is the most prestigious and richest horse show in the Middle East. Run under the patronage of Shaikh Hamdan Bin Rashid Al Maktoum, Deputy Ruler of Dubai and UAE Minister of Finance, the DIAHC offers a record purse of Dh15 million. This year, more than 220 horses from over 20 countries are participating with their best show horses. Saturday’s action features the six championship finals for male and female horses in the three classes — yearlings, juniors and seniors.